Sometimes to make a brilliant dance album all you need is a sense of rhythm a PC and free time on your hands. That is exactly what makes this album so good. Not much has gone into it and therefore it has the sheer joy of music making. You can tell that Mylo really enjoyed making this, it is full of jokes and sheer fun. The whole thing is pretty minimalist because it really doesn't need much more. It can therefore seen as pretty much a basic dance music album. And it is basic. And again that is what makes it good, paring down dance music to its bare essentials in such a way that it doesn't become artsy, just a really good mainstream dance album. Nice. Mylo attended George Watson's College, Edinburgh before graduating in philosophy, psychology and physiology from Brasenose College, Oxford, he subsequently gave up studying for a philosophy Ph.D at UCLA to return home and produce music. 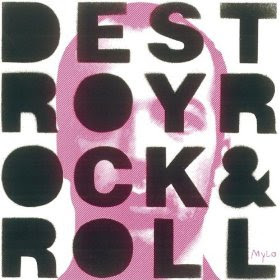 Mylo released his debut album, Destroy Rock & Roll in 2004, on the Breastfed Recordings label, which he co-owns. Mylo produced the album on a computer in his own bedroom.